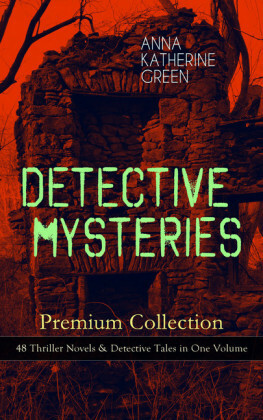 This carefully crafted ebook: 'DETECTIVE MYSTERIES Premium Collection: 48 Thriller Novels & Detective Tales in One Volume' is formatted for your eReader with a functional and detailed table of contents: That Affair Next Door Lost Man's Lane The Circular Study The Leavenworth Case A Strange Disappearance X Y Z: A Detective Story Hand and Ring The Mill Mystery The Forsaken Inn Cynthia Wakeham's Money Agatha Webb One of My Sons The Filigree Ball The Millionaire Baby The Chief Legatee' The Woman in the Alcove The Mayor's Wife The House of the Whispering Pines Three Thousand Dollars Initials Only Dark Hollow The Mystery of the Hasty Arrow The Old Stone House and Other Stories A Memorable Night The Black Cross A Mysterious Case Shall He Wed Her? A Difficult Problem The Gray Madam The Bronze Hand Midnight in Beauchamp Row The Staircase at the Hearts Delight The Hermit of --- Street Room Number 3 The Ruby and the Caldron The Little Steel Coils The Amethyst Box The Thief The House in the Mist The Golden Slipper The Second Bullet An Intangible Clue The Grotto Spectre The Dreaming Lady The House of Clocks The Doctor, His Wife, and The Clock Missing: Page Thirteen ... Anna Katharine Green (1846-1935) was an American poet and novelist. 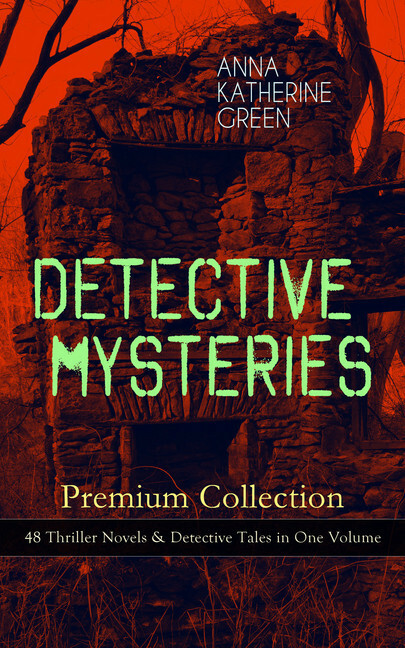 Green has been called 'the mother of the detective novel'. 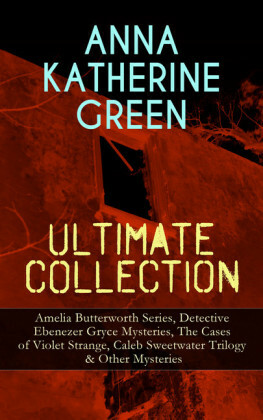 Her main character was detective Ebenezer Gryce of the New York Metropolitan Police Force, but in three novels he is assisted by the nosy society spinster Amelia Butterworth, the prototype for Miss Marple. 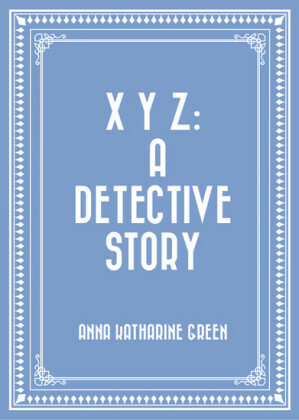 She also invented the 'girl detective': in the character of Violet Strange, a debutante with a secret life as a sleuth. 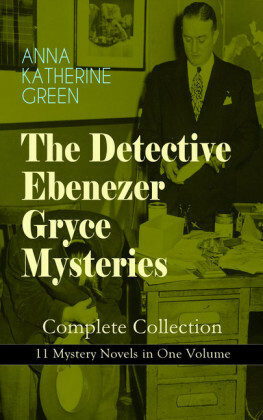 Indeed, as journalist Kathy Hickman writes, Green 'stamped the mystery genre with the distinctive features that would influence writers from Agatha Christie and Conan Doyle to contemporary authors of suspenseful 'whodunits'. 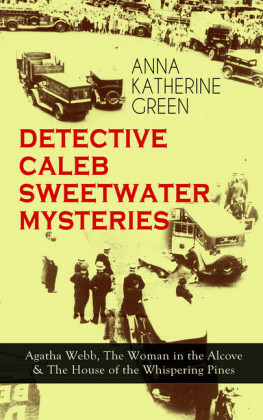 She was one of the first writers of detective fiction in America and distinguished herself by writing well plotted, legally accurate stories. "However much I may be needed at home, I I cannot reconcile it with my sense of duty to leave just yet," I confided to the reporter, with what I meant to be a proper show of reason and self-restraint; "Mr. Van Burnam may wish to ask me some questions." "Of course, of course," acquiesced the other. "You are very right; always are very right, I should judge." As I did not know what he meant by this, I frowned, always a wise thing to do in an uncertainty; that is,-if one wishes to maintain an air of independence and aversion to flattery. "Will you not sit down?" he suggested. "There is a chair at the end of the hall." But I had no need to sit. The front door-bell again rang, and simultaneously with its opening, the parlor door unclosed and Mr. Franklin Van Burnam appeared in the hall, just as Mr. Silas Van Burnam, his father, stepped into the vestibule. "Father!" he remonstrated, with a troubled air; "could you not wait?" The elder gentleman, who had evidently just been driven up from the steamer, wiped his forehead with an irascible air, that I will say I had noticed in him before and on much less provocation. 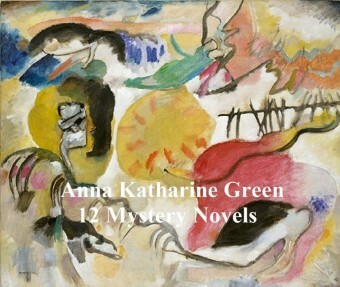 "Wait, with a yelling crowd screaming murder in my ear, and Isabella on one side of me calling for salts, and Caroline on the opposite seat getting that blue look about the mouth we have learned to dread so in a hot day like this? No, sir, when there is anything wrong going on I want to know it, and evidently there is something wrong going on here. What is it? Some of Howard's--"
But the son, seizing me by the hand and drawing me forward, put a quick stop to the old gentleman's sentence. "Miss Butterworth, father! Our next-door neighbor, you know." "Ah! hum! ha! Miss Butterworth. How do you do, ma'am? What the -- is she doing here?" 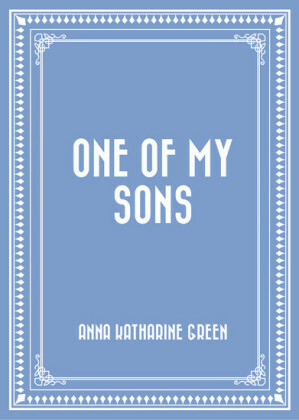 he grumbled, not so low but that I heard both the profanity and the none too complimentary allusion to myself. "If you will come into the parlor, I will tell you," urged the son. "But what have you done with Isabella and Caroline? Left them in the carriage with that hooting mob about them?" "I told the coachman to drive on. They are probably half-way around the block by this time." "Then come in here. But don't allow yourself to be too much affected by what you will see. A sad accident has occurred here, and you must expect the sight of blood." "Blood! Oh, I can stand that, if Howard--"
The rest was lost in the sound of the closing door. And now, you will say, I ought to have gone. And you are right, but would you have gone yourself, especially as the hall was full of people who did not belong there? If you would, then condemn me for lingering just a few minutes longer. The voices in the parlor were loud, but they presently subsided; and when the owner of the house came out again, he had a subdued look which was as great a contrast to his angry aspect on entering, as was the change I had observed in his son. He was so absorbed indeed that he did not notice me, though I stood directly in his way. "Don't let Howard come," he was saying in a thick, low voice to his son. "Keep Howard away till we are sure--"
I am confident that his son pressed his arm at this point, for he stopped short and looked about him in a blind and dazed way. "Oh!" he ejaculated, in a tone of great displeasure. "This is the woman who saw--"
"Miss Butterworth, father," the anxious voice of his son broke in. "Don't try to talk; such a sight is enough to unnerve any man." "Yes, yes," blustered the old gentleman, evidently taking some hint from the other's tone or manner. "But where are the girls? They will be dead with terror, if we don't relieve their minds. They got the idea it was their brother Howard who was hurt; and so did I, but it's only some wandering waif-some--"